Simon Creek offers the complete winery experience; from the beautiful taste room and gift/ retail area to the impressive vineyards. Free winery tours feature a complete review of the wine-making process from harvest through bottling. Tours end at the taste room overlooking the wine cellar, and best of all, the vineyards and beautiful pond. An outdoor deck allows guests to relax in a pristine natural setting while enjoying a glass or bottle of award winning wine and watching the abundant wildlife. The deck also serves as a venue for free live music, with various genres — old rock time rock and roll, country, jazz, rhythm & blues and much more. Plus, we also have free music on the deck on select Saturdays, Memorial Day weekend thru September. 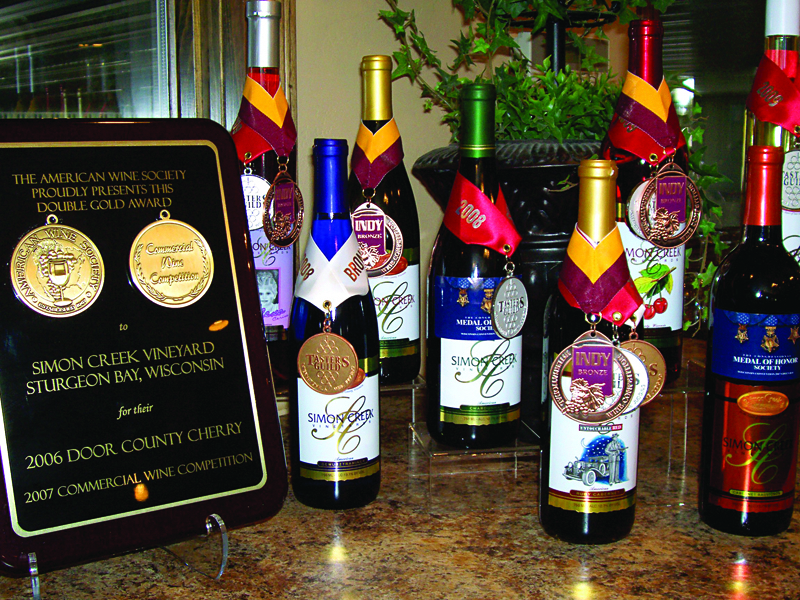 Winner of over 200 medals in toughest international competitions, Simon Creek winemakers, under the guidance of “Winemaker of the Year” Tom Payette, have crafted some of the finest grape and fruit wines in the USA.